Here’s a little grabbag of info from our recent road trip out to Dubbo. Some reviews of our accommodation and thoughts on the trip itself. Hope you find something useful. ‘Take the road less travelled’ is a fave motto of mine, and admittedly it’s an attitude that has led me up some blind alleys. But on our recent road trip to Dubbo we were glad to avoid the busy M4 and head out of Sydney via Richmond and the divinely named Bells Line of Road. The winding road climbs steeply up and up, past the apple orchards that make this area famous, through Bilpin and then up and over to the beautiful Blue Mountains. We stopped at Lithgow long enough to have a spot of lunch at the Bluebird Cafe on the main drag and then push on again. I’d meant to take two days to drive to Dubbo, but circumstances children intervened and we only had one day. 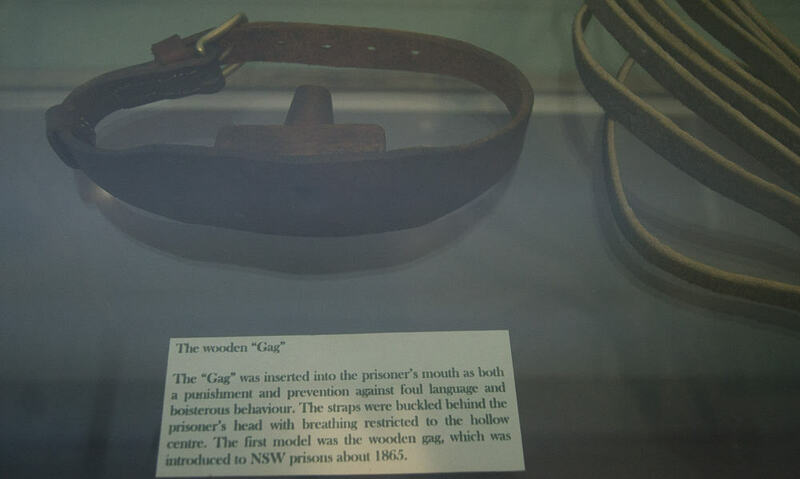 The twins were horrified by some of the artifacts kept at Old Dubbo Gaol. 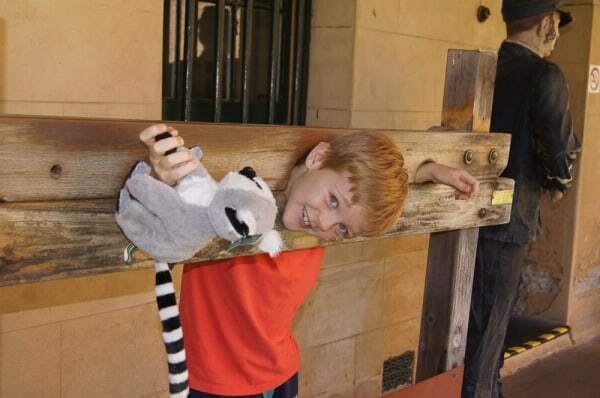 How awful is this gag device… though I could occasionally have used this during out road trip! We whizzed far too speedily though Bathurst, Orange and Wellington, stopping with thanks at the Driver Revive caravan. And still this trip took SEVEN LONG HOURS. I’m a slow and steady driver and the car is a tiny Yaris, but still, it was much longer than even I expected. 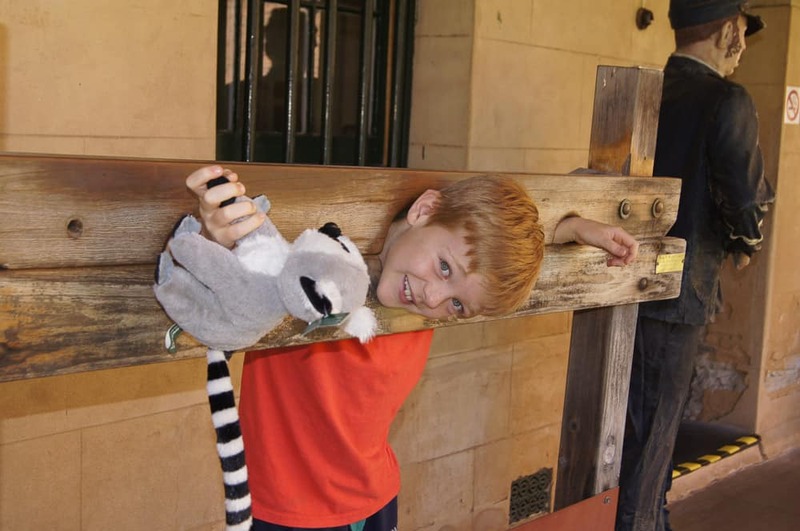 Our visit to the Zoo was great and you can read all about it on this post here, we did love Billabong Camp. The Ibis Budget in Dubbo was home for our night after our long day at the Zoo, we were whacked and delighted to fling ourselves onto the beds and veg out for a while. 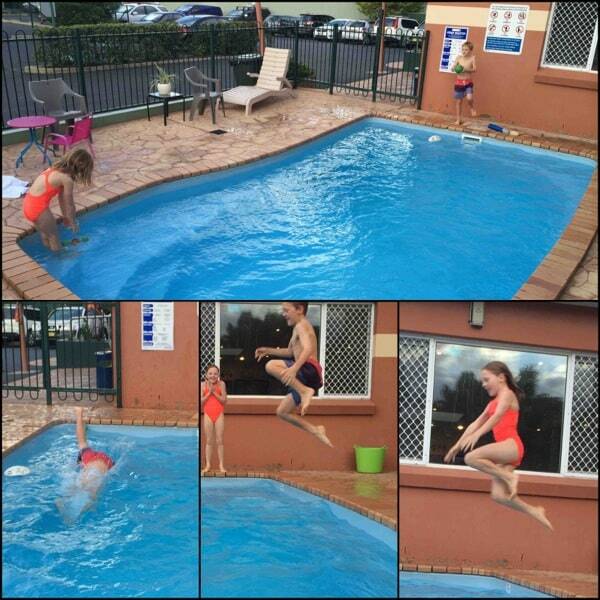 The twins did have a splash around in the small pool. If you’re looking for a budget hotel and are not afraid to climb a set of stairs instead of using a lift, then I’d recommend the Ibis. The staff were friendly and very helpful with pointing out local info, and the room and en suite were fine for us. There’s a buffet breakfast of cererals, toast, fruit and yoghurt, a snappy snip at $9 per person- can’t complain about that. You can also BYO food, there are fridges and a kitchen and seating area with kids play area. 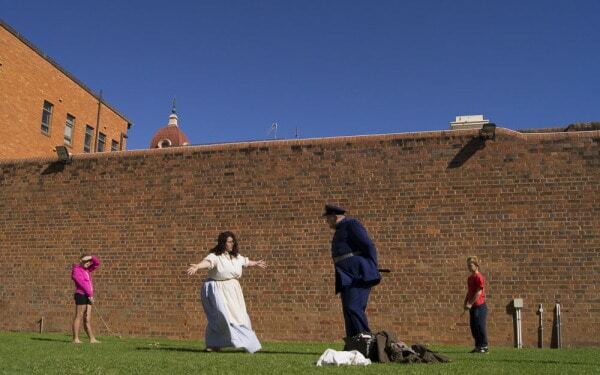 The next day in Dubbo, we visited the historic Old Dubbo Gaol which has been magnificently restored, it’s a real life history lesson. The cells are so small and the walls so thick, the instruments of torture are very graphic. The twins ran around reading and listening and watching. They took part in a staged escape and really enjoyed the theatrics. Highly recommended. 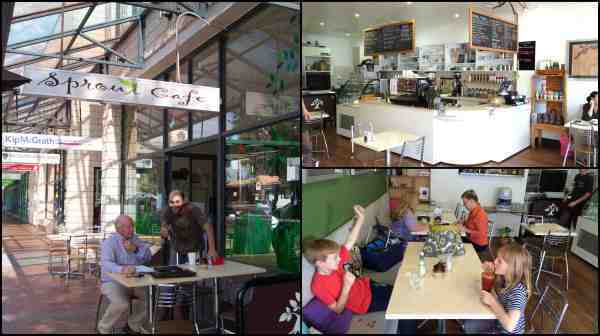 Just across the road from the Gaol is a very health-conscious cafe called Sprout, an excellent spot for a coffee, juices and a slice of cake, might I say. We also went to the most excellent Livvi’s Place playground, which is right in the heart of Victoria Park, a great spot which I will write up as a post in itself. So then it was back on the road, and a long drive to Orange, our stop for the night. The country we passed through looked a lot like this – click on the panorama photo to see it in a larger size. 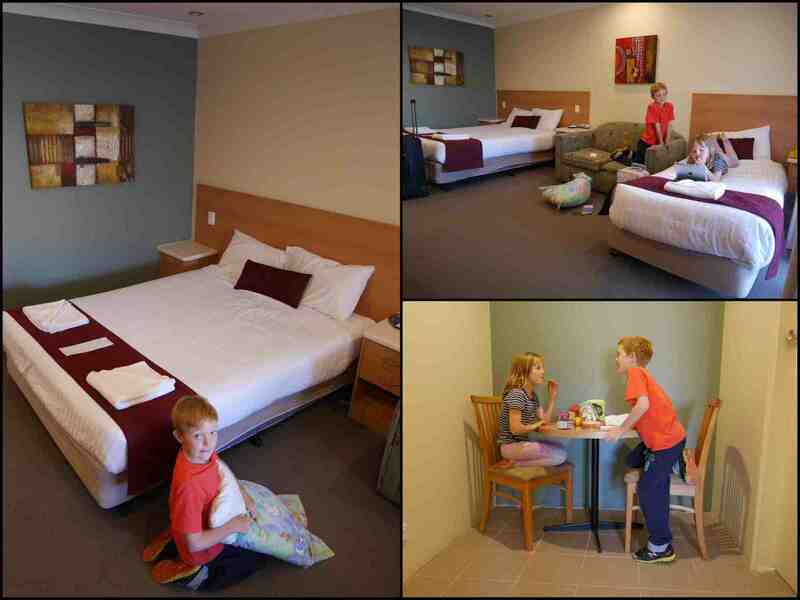 The kids were really tired when we got to our accommodation, the Ibis Styles Orange, so we ate in the restaurant there – very good – and had a very early night. 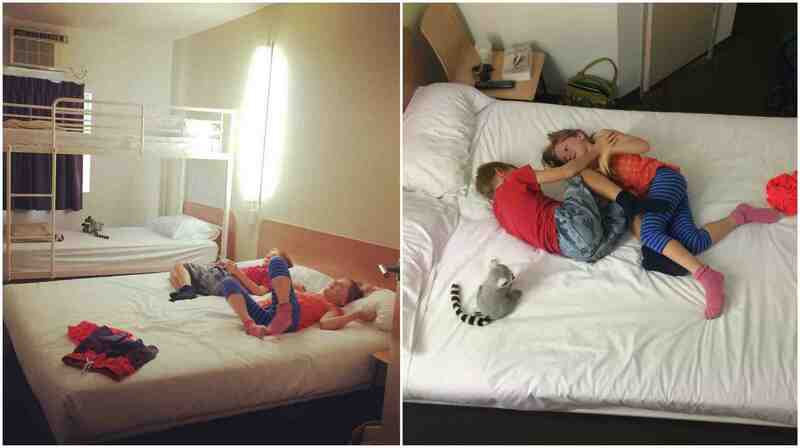 Our room was really huge, plenty of space to play and very comfy beds. 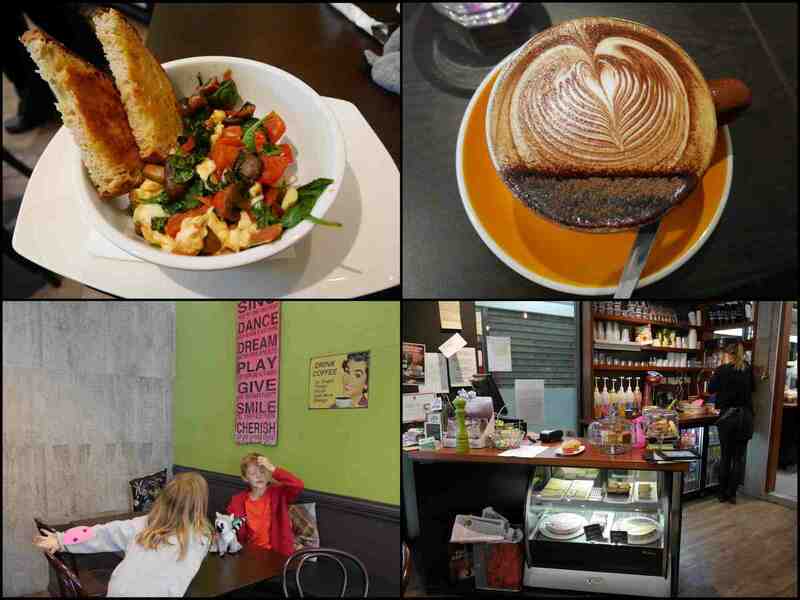 Next day we explored Orange a bit, enjoying a walk around and breakfast in the groovy cafe Scrumptious on Summer. 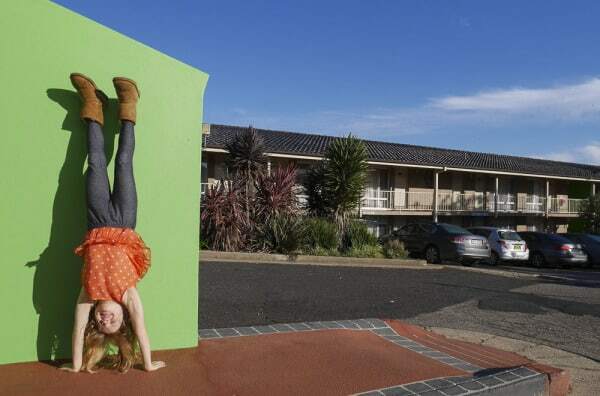 There are many things to do with the family in Orange -check out this post. The obvious stop on the way back to Sydney is the Blue Mountains, and there are so many lovely things to do there. But on this trip though we bypassed them all and went to visit an old friend of our family, a lovely young woman who was a therapist and school aide for number one son from when he was 3 until he was 8. What a pleasure to see her settled back in Australia with her husband. The twins said hello to her rabbit and chickens and we all enjoyed the fresh air, some lunch and a break from driving. And then we whizzed all the way home to Sydney, M4, M7, M2, Mona Vale Road and home. We were only away for three nights, and would definitely take longer next time. But there’s only so long one can abandon teenagers and lodgers for before the smell becomes quite overwhelming! Have you done a road trip lately? Any great cafes and accommodation along the way? We stayed as guests of the Ibis Budget Dubbo and the Ibis Styles Orange. Many thanks for your hospitality. Seana, sounds like you guys had a blast on your roadtrip. Our paths certainly would have crossed but we sure didn’t do as much as you did. Did you stop at the Adventure playground in Orange? It was a godsend on the trip home for us. Thanks for letting us know that history and fun CAN mix. 🙂 7 hours seems worth it with those great activities. Plus, the room at Ibis looks really comfy!